When you need Faders but don't really need a console. 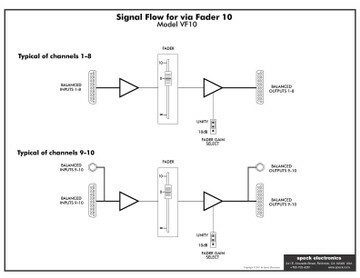 The via Fader is a brand new way to connect your 500 series racks and audio gear. 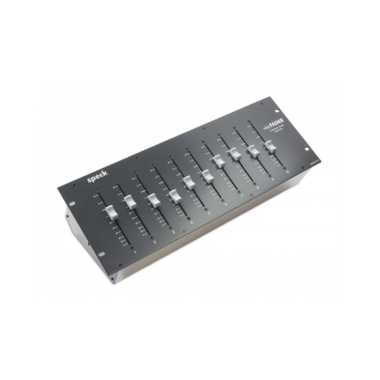 This product is more than just 10 or 16 slide faders. 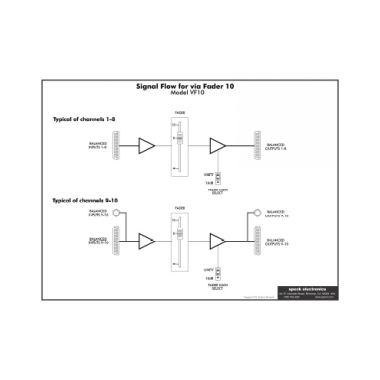 Each fader channel has the necessary input and output electronics to allow the via Fader to interface to any balanced, unbalanced, transformer, or transformer-less line level signal. But most importantly... no additional mixer or audio interface is required. 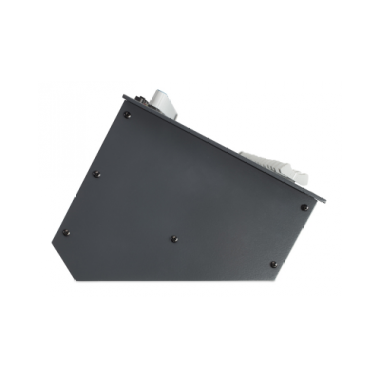 With its clean, uncluttered layout, the via Fader can be placed in a convenient desktop location or installed in your 19" rack. This gives you more choices when it comes to the studio layout. 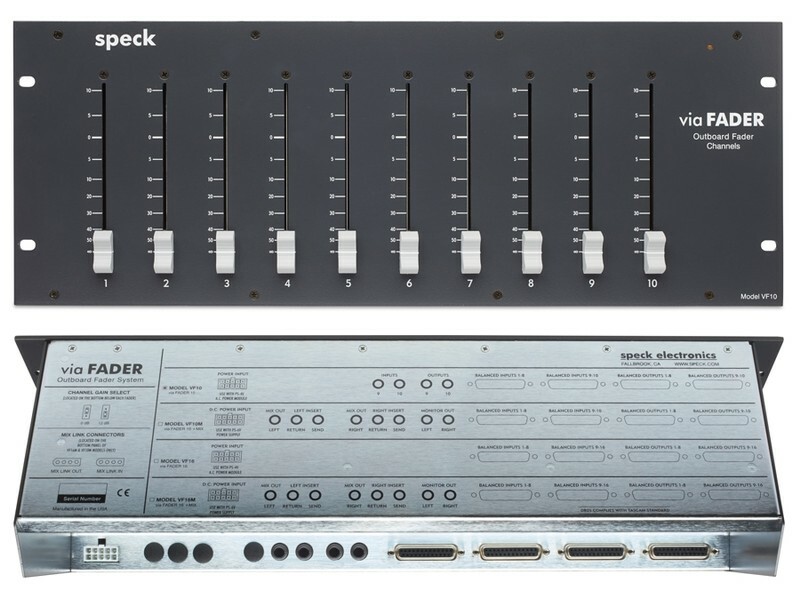 Not exclusively for 500 rack systems, the via Fader can be used for external DAW summing or as a line mixer for synths and samplers. In many cases, the via Fader can eliminate the need for a mixing console in your studio. 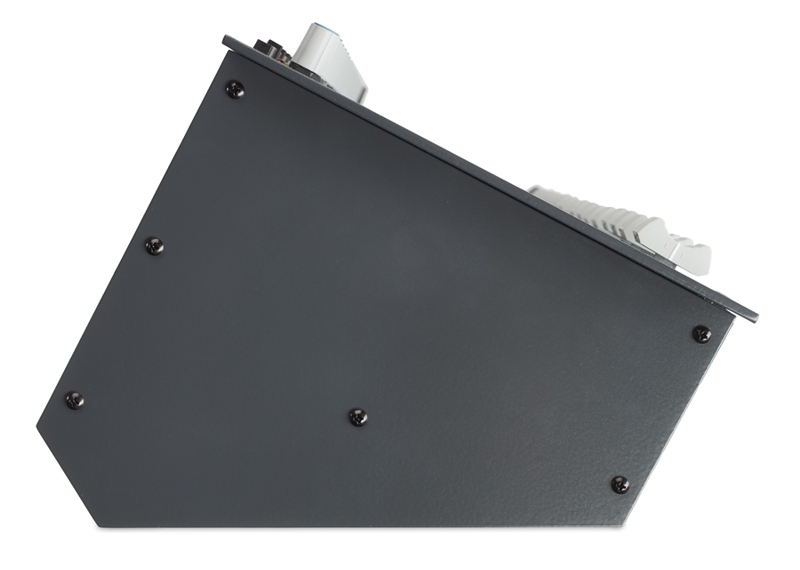 The four via Fader models give you lots of possibilities. 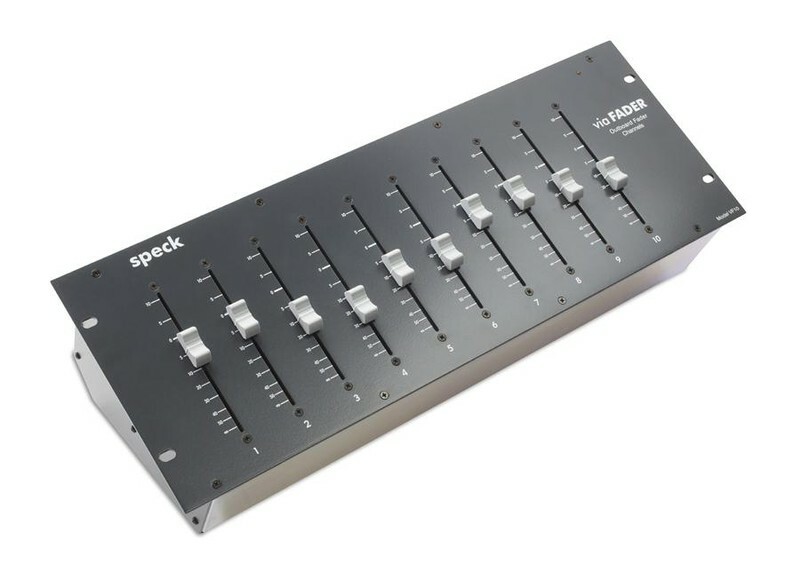 Dimensions (Mixer): WxHxD=19" x 7" x 6"
Dimensions (Power Supply): WxHxD=4.6" x 2.75" x 7.3"
Speck Electronics has been producing quality audio mixers, equalizers, and preamps for all segments of professional audio recording and touring for over 45 years. 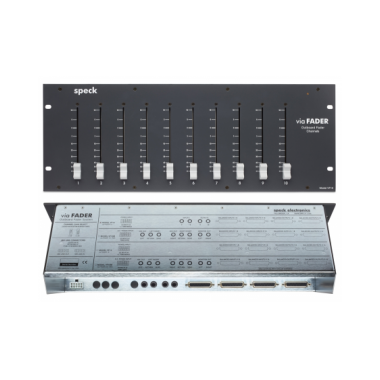 Our products include the X.Sum line mixer, the ASC-V parametric equalizer, the MicPre 5.0 microphone preamp, and our newest product the via Fader Outboard Fader System. Our future goals are to continue to expand our product line with analog hardware that is complementary to digital recording.